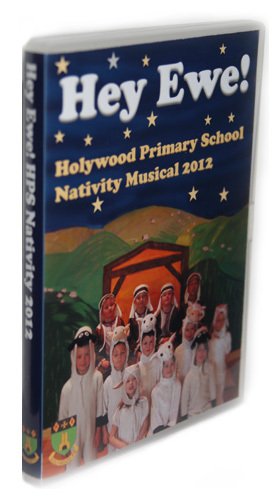 DVDs of our Nativity Musical 'Hey Ewe!' are now available for purchase. The DVD includes the full performance by our P1, P2 and P3 children. If you would like to order a DVD, please send your order with the correct money or a cheque payable to Holywood Primary School PTA. An order form can be downloaded here. Photographs are still available online here. Photos are shipped directly to you. Posted on March 5, 2013 by Holywood Primary.